There’s something intriguing about prisons. Perhaps what fascinates us most is the story of how one got behind bars, or how one would even plan one’s escape. It’s the thrill of the chase that excites us most, and at Escape IQ in Los Angeles, if you don’t emerge from their “Vault” in time, chances are you’ll end up in Alcatraz, Escape IQ’s prison-themed escape room. 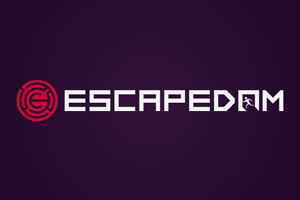 Escape IQ is nestled in a warehouse just south of Little Tokyo and down the street from Urth Caffe (where you can grab a delicious pie or cup of joe before or after this event). Although parking is generally sparse around the area, there are a few spaces out front. Their large lobby/lounge area has a couch and chairs you can relax on, and games like Jenga and a stack of comic books to keep you occupied. There is a photo backdrop for both winners and losers, and on the walls are photos of some previous, more famous guests who have played. A blackboard keeps a tally of how many groups have played, the success rates, and the best records of each game. Although the restroom needed a bit of care, the staff is helpful and accommodating. You can leave your personal items in a locker (which is free with a Yelp check-in). And if you’re hungry, they have a small selection of snacks and drinks in their vending machine. Anyone who’s done an escape room before knows how important communication is, but here communication is vital for any team’s success. This is a great room to do with co-workers or even your spouse, because it forces you to talk to each other if you want to escape. And like most prison breaks, failure is not an option. Counselors should send their patients to this room because it’s a test for how well people talk to each other (and a test of their patients’ patience since solving puzzles is dependent on members in the other cell). 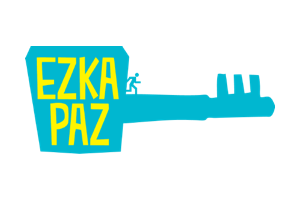 The premise is simple: You have an hour to solve the puzzles and emerge to freedom before the guard returns. Your team is split into two separate, but equally grungy cells. Each was very sparse so there weren’t many red herrings, and at least the toilets were sanitized. One of the cells boasts more puzzle-solving tasks than the other. 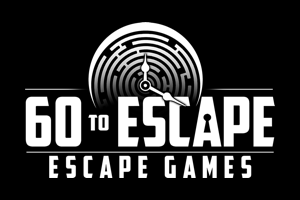 One group may feel a little short-changed by the amount of waiting on the other group; however, the puzzles here are some of the most varied in the land of escape rooms. One tip to remember is that there are a few physical puzzles, which means you should mind your head and feet. Use caution at all times. You may trip over something or accidentally hit one of your teammates with a hard object. There was a party next door, and dance music was blasting, so we had that to face as a distraction, but that covered up the guards hearing us. These added sensory elements made for a much more immersive experience, especially when reuniting with our other teammates. All of this compensated for the one small technical glitch — there was a slight delay in one of the controls. But who doesn’t love an additional challenge? All in all, this room is great for introducing noobs to the concept of escape rooms, especially due to the variety of puzzles. Although it may prove a little too easy for seasoned escape room artists, seasoned or not, this room proves that it can make a break for stealing the spot as one of LA’s most fun rooms that relies heavily on team communication!